The Central International Dental Exhibition is the largest and leading dental event in Central China.It takes place annually in Wuhan in mid-November. Exhibition is made up by 3 parts---the academic conferences of Stomatology,the recruitment of dental professionals and the exhibition of dental instruments. 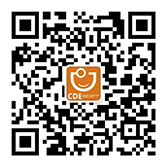 It based on the central China and even the national oral market, follows the trend of international oral health care. We are always concerned about the practice of innovative technologies and integration of concepts in the dental industry. Central China Dental Exhibition as a professional dental exhibition will provide a full range of personalized marketing strategies to promote your brands. Exhibitions, conferences, activities and job fairs will help you stand out of competitors, generate new business connection and leads with local agents and distributors.